In the words of Chick-fil-A Founder Truett Cathy himself, “Food is essential to life, therefore make it good.” No matter the season, the food we consume should be high-quality, tasty and fuel our bodies for activity. Many of our guests look to our chicken to help pack protein power into their days – and you can, too! 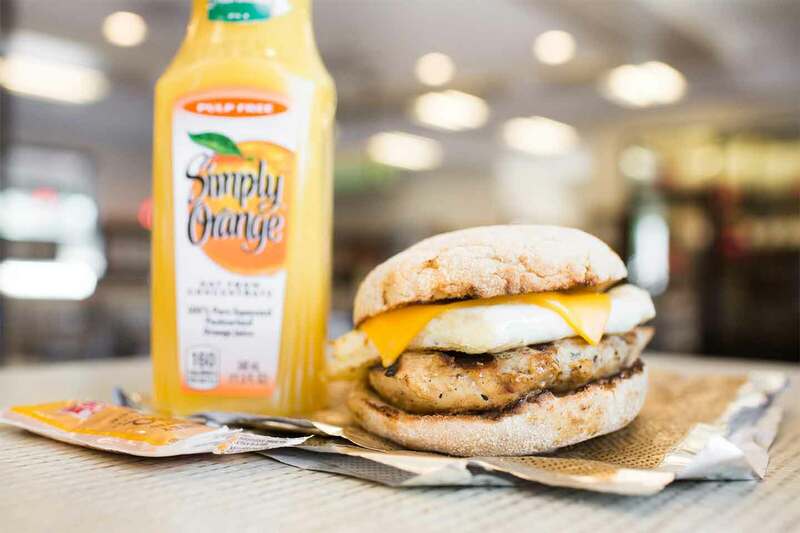 Egg White Grill (25 grams of protein): A breakfast portion of grilled chicken with a hint of citrus flavor, stacked with freshly cooked egg whites and American cheese – all served on a toasted multigrain English muffin. Greek Yogurt Parfait (12 grams of protein): Made from sustainably-sourced milk, our creamy honey vanilla Greek yogurt is served with fresh strawberries and either granola or cookie crumbles. Your choice! THRIVE Farmer's Coffee (0 grams of protein): Medium-roast coffee contains only hand-picked certified 100% Colombian beans. 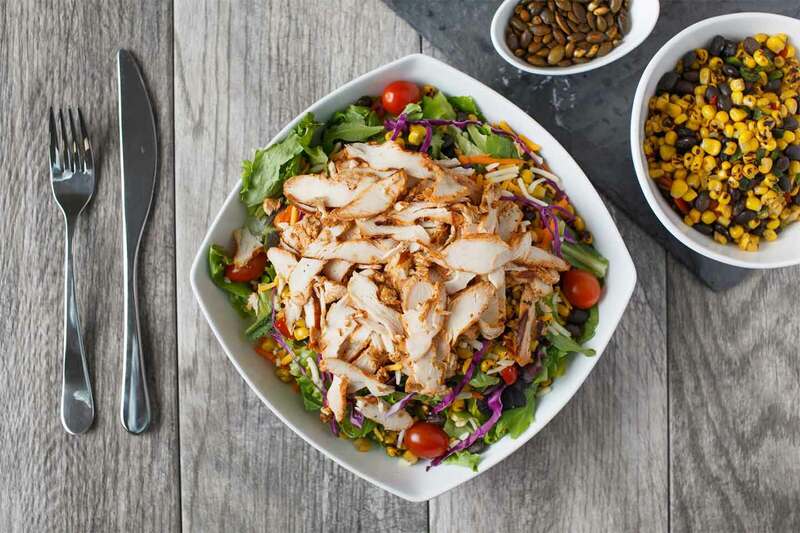 Spicy Southwest Salad (34 grams of protein, 29 without the tortilla strips and pepitas toppings): Slices of grilled spicy chicken breast served on a fresh bed of chopped romaine lettuce and baby greens. Toppings include shredded red cabbage and carrots, grape tomatoes, a blend of Monterey Jack and cheddar cheeses, and a zesty combination of poblano chiles, red bell peppers, roasted corn and black beans. Chili Lime Vinaigrette Dressing (0 grams of protein): The perfect dressing to pair with our Spicy Southwest Salad – although you do have plenty other dressing options, too! DASANI® Bottled Water (0 grams of protein): Round your lunch out with a cold bottle of water. 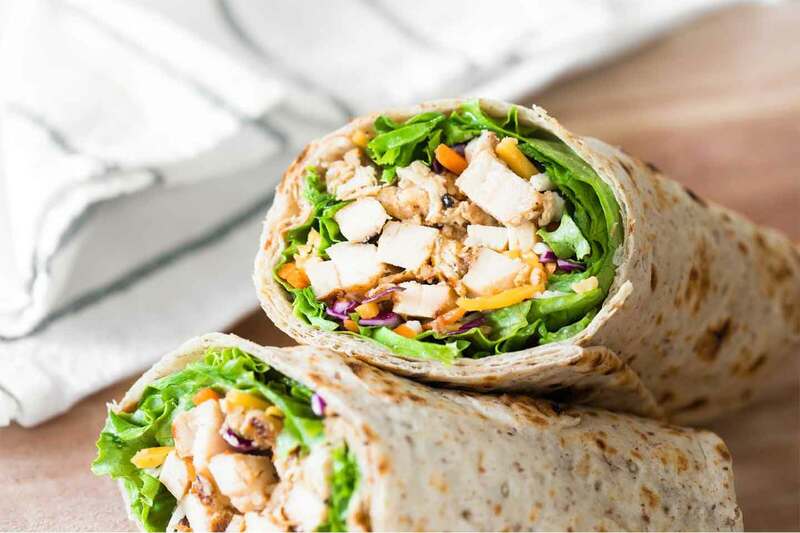 Grilled Chicken Cool Wrap (38 grams of protein): Sliced grilled chicken breast, nestled in a fresh mix of green leaf lettuce, petite red and green lettuce, and shredded green cabbage with a blend of shredded Monterey Jack and cheddar cheeses. Tightly rolled in a flaxseed flour flat bread, we recommend enjoying this wrap with our Avocado Lime Ranch dressing. Medium Waffle Potato Fries (5 grams of protein): Our most popular side dish! These waffle-shaped potatoes are cooked in canola oil until crispy outside and tender inside. Diet Coca-Cola (0 grams of protein): Crisp and refreshing, you’ll be glad you ordered this beverage with your meal. Meeting your daily protein goals has never been so tasty! Check out more ideas for eating low-carb and other nutritious menu picks!